What the heck is up with the weather?! It was SO warm less than a week ago, and I woke up to snow on the ground this morning. Aaah, life in the Midwest. I think California may be calling my name. You know, if I were rich and had the figure of a Victoria’s Secret model. Today’s PTI challenge was a bit different today: instead of focusing on an inspirational project or technique, we were to create something based on the favorite color combinations of the Design Team. I chose Dawn McVey’s contribution to the post, partially because I wanted to try something outside of my normal go-to color schemes, but also because the colors she listed were the only ones I actually had! 🙂 I have lots of PTI cardstock, but it seems that I’m a more pastel-y kind of girl, while most of the DT members seem to gravitate towards bolder colors. One of the common denominators in the majority of the DT’s submissions: kraft paper. I may just have to get some of this stuff (that I personally think looks like cardboard) and see what all the fuss is about. 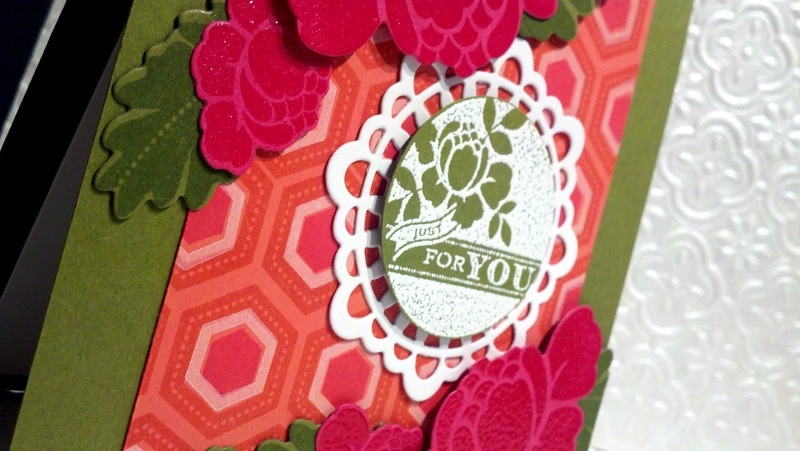 Dawn McVey’s color choices were Raspberry Fizz, Ripe Avocado, and Berry Sorbet… I thought that they worked perfectly with the Rosie Posie stamp set and the “Just for You” tag from Holiday Tags: 2011. I’m sure I’m not the only person who’s noticed how perfectly that little tag coordinates with Rosie Posie. 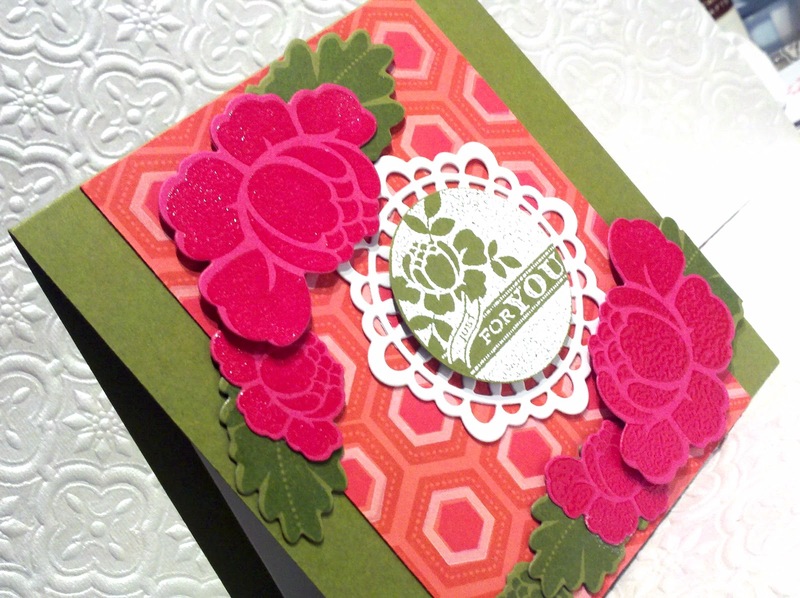 That’s one of the things that I love about PTI… each of the stamp sets are so unique, but with one element it can easily be paired with another set. Fonts, flourishes, etc… they all coordinate so well! 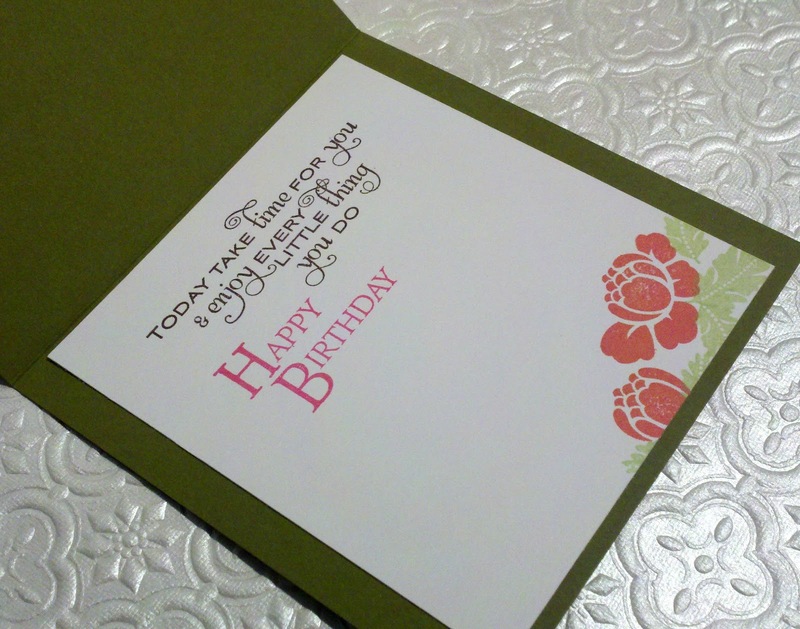 Anyway, enough of my chatter… on to the card. 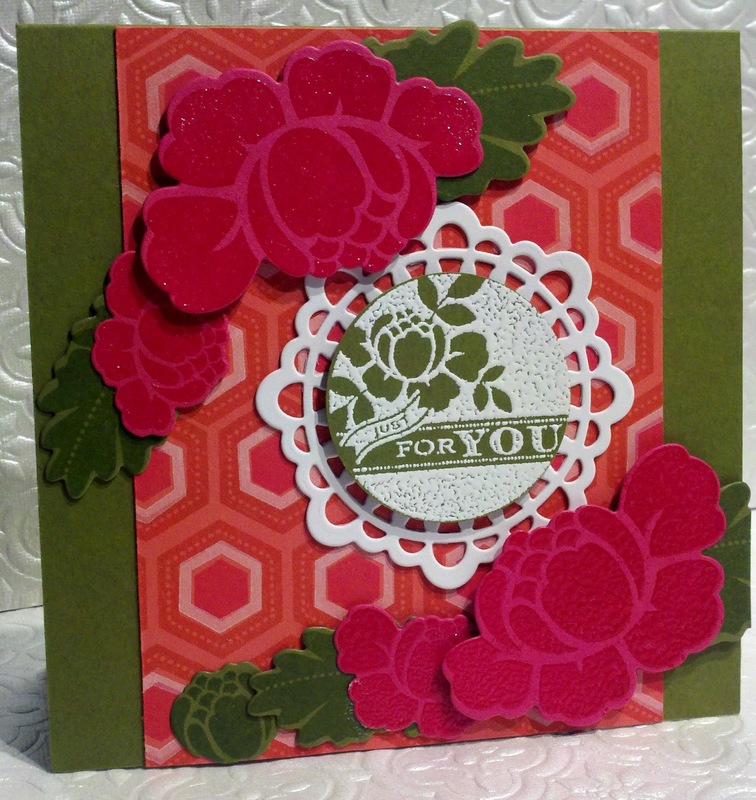 I think I am getting marginally better at stamping backgrounds. I don’t seem to have any interest in my ridiculously huge arsenal of patterned paper anymore, just because I enjoy stamping backgrounds so much.